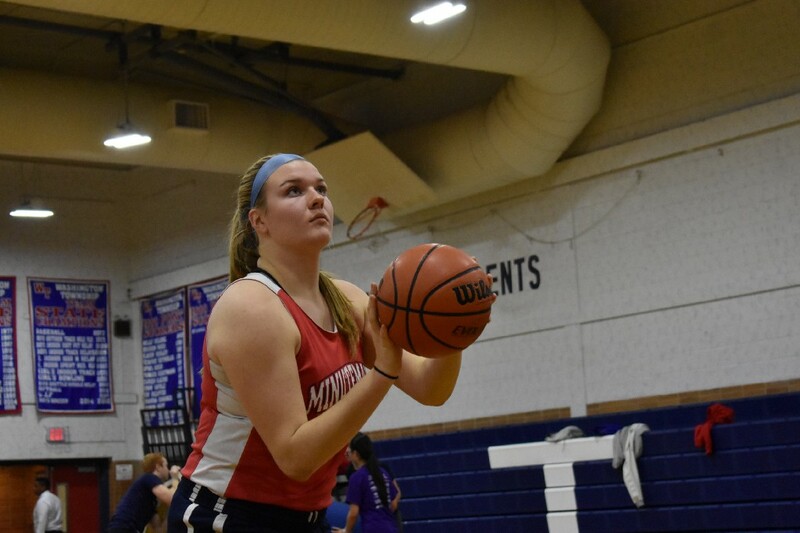 The daughter of two former Township athletes and granddaughter of a D-1 player and long-time South Jersey basketball coach, 6-foot-1 Emily Johns could be destined for a breakout season as a junior. Not long ago, a growing grade-school cheerleader joined the high school girls on the sidelines at Minutemaids basketball games, with most of her family in the stands above. She was just at the age when most kids really begin to get into sports seriously — 9 or 10 — when Washington Township High School’s girl team was in the midst of a remarkable run. The ‘Maids collected their third straight sectional championship (and fourth in five years) in 2013 and won their third straight Olympic Conference crown a year later. With her mom’s best friend as the coach, it was only a matter of time before the talented cheerleader dropped the pom moms and followed in the family tradition. 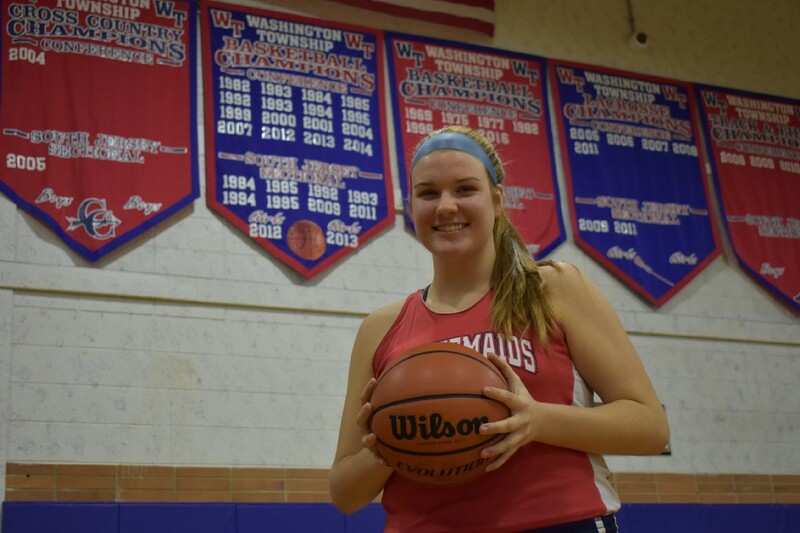 Flash forward to the 2018–19 school year and Emily Johns has grown into one of the dominant players in South Jersey. The 6–1 junior is well-versed in the varsity game as a three-year starter and is eager to both take her game to new heights and return her team to those glory days she watched as a kid. Johns and the Minutemaids dive right into their Olympic Conference schedule before Christmas (Timber Creek, Cherokee, and Camden Catholic are all on the schedule in the season’s first nine days), play in a Christmas tournament in Disney World before New Year’s Eve, and then hope to make a run at conference and sectional titles in 2019. Johns and a growing roster at Township, with a healthy mix of established veteran starters and almost two dozen freshman entering the program, certainly give the Minutemaids a fighting chance. Johns has the talent to lead the Minutemaids deep into the postseason in 2019. A player Natale described as a “walking double-double the minute she entered the gym” as a freshman, Johns is obviously a physical force as a player who’s regularly the biggest on the court, but perhaps her greatest growth has come from the neck up. Like any teenager, she’s matured through her high school career and her confidence has increased tenfold on the court. And after playing for a new AAU team last spring (the Philadelphia Belles) Johns has raised her game and become a more diverse player, too. Oh, and she’s added a three-point shot to her game for her junior season, too. The granddaughter of long-time South Jersey basketball coach (and former University of Maryland player) Charlie Blank, who was inducted into the Camden County Sports Hall of Fame this fall, Johns is no longer the raw kid simply creating a nuisance for other teams because of her size. As she hits the midway point of her high school career, Johns is someone who can affect the game on both sides of the court as she polishes her college resume. “She’s really starting to realize her strength and her power — and is not afraid to use it,” Natale said. After her turn in AAU last spring, Johns has been in contact with coaches from Loyola, Rider, Columbia, Manhattan, American in the process of seeing where basketball will take her after she graduates in 2020. But, before that, she’d like to help her teammates add another year or two to the championship banners in Washington Township’s gymnasium.